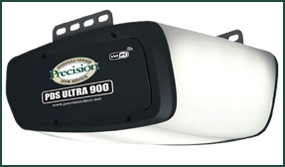 Precision Door of Miami, FL offers a large selection of new garage door openers. 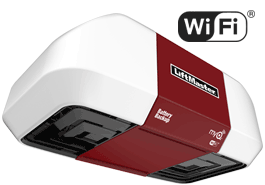 We carry Liftmaster & Precision Door Openers in several models. So, you can find the one that best fits your needs. If you would like to know whether your current opener needs to be replaced or just requires a simple repair give us a call. 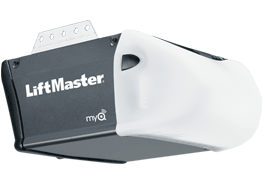 We provide expert Garage Door Opener Repair as well. 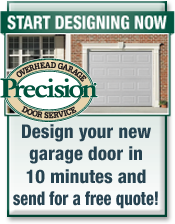 Chain Driven Openers- Chain drives used to be the most popular garage door opener. The motor is pulled by a metal chain. Chain drives tend to be much louder than belt drives and the price between the 2 motors has narrowed to a point where the difference is no longer significant. 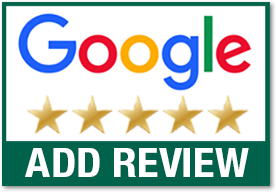 If your garage is detached or the noise does not bother you and you want to save a little bit of money, this may be your best choice..
Belt Driven Openers- Belt drives are the quietest garage door opener. 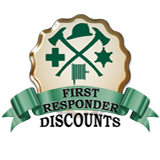 The motor is driven by a rubber belt, which often comes with a lifetime warranty.They are considered the premium motor. In addition to reliable performance and quiet operation, the PDS Ultra 900 belt drive opener comes with Wifi technology built in allowing you to control it from anywhere with a Smartphone/Smart Device. Smart wall station, three button remote, wireless keypad, and a lifetime warranty on the motor and belt rail are all included. 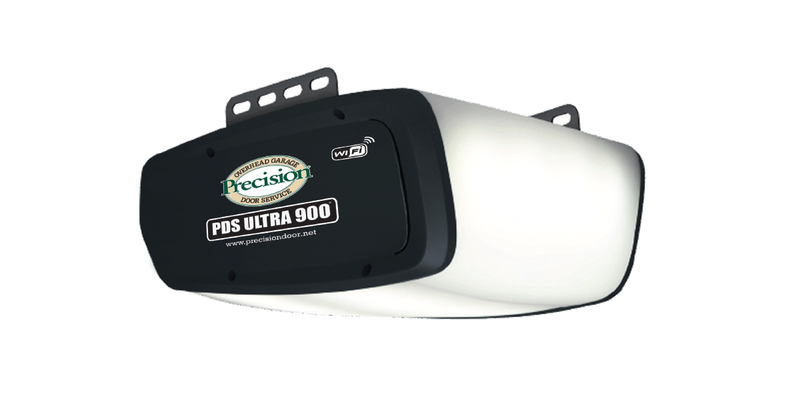 Click Here to learn more about the new PDS Ultra 900! Offers a sensing technology that stops the garage door from closing if contact is made with any object. The Protector System® safety sensors create an invisible beam across your garage door and automatically reverses the door if anything interrupts the beam while the door is moving. 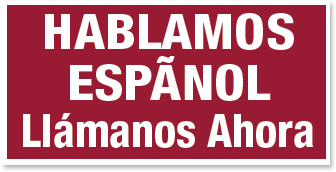 It also offers Security Rolling Code Technology, which creates a new frequency code to your remote control every time your garage door is opened or closed. This makes sure no one can ever duplicate your garage door code. Plus, this opener has a PosiLock system, which locks your door completely after it is closed and protects the garage door from being manually forced open. 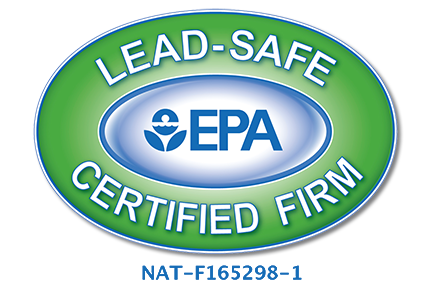 Includes a four-year warranty on the motor and a one-year warranty on all other parts. 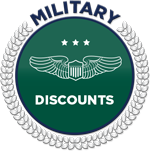 Four-year motor and one-year parts warranties.